Federal agents make their way to County Court at Law No. 6 in Edinburg Friday, May 04, 2018. 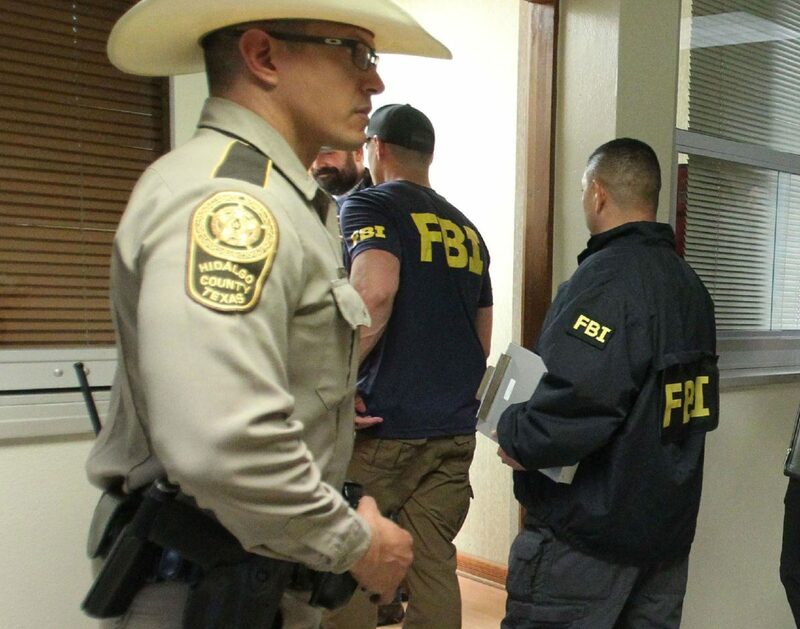 EDINBURG — Federal agents were back at the Hidalgo County Courthouse on Friday for the second time in three months, casting a larger cloud on the county’s judicial system. About a dozen FBI agents descended upon the offices of County Court-at-Law No. 6 at 5:30 p.m. Friday, hours after the court’s bailiff was taken into federal custody. FBI spokeswoman Michelle Lee only confirmed that bailiff Oscar De La Cruz was in custody, adding that charges against him will be made public Monday. De La Cruz will make his first federal court appearance Monday, confirmed Santos Maldonado Jr., the Edinburg-based attorney representing him. Maldonado offered no comment on the case at this time. Hidalgo County Sheriff's Deputy Frank Elizondo III stands outside County Court at Law No. 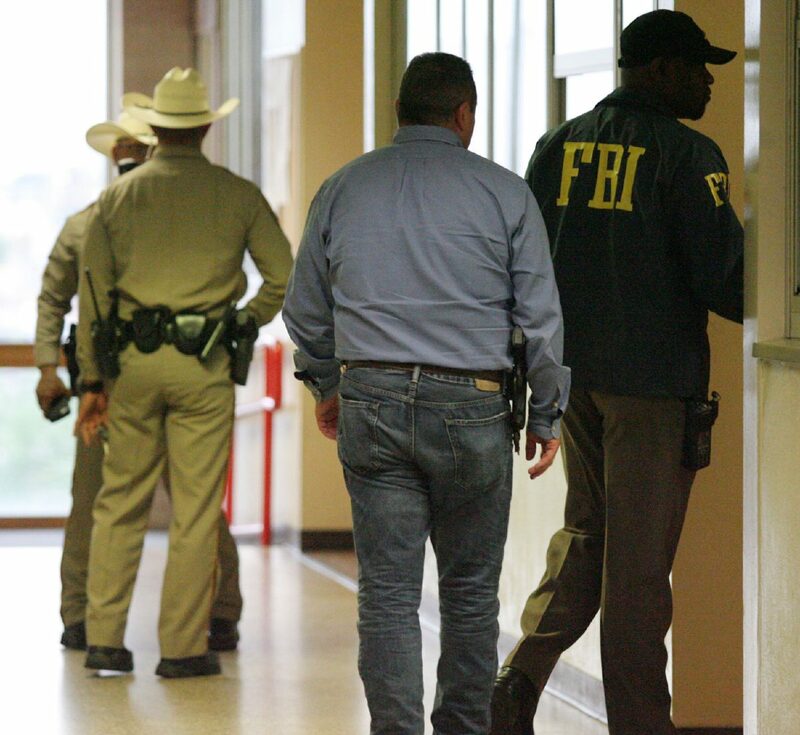 6 as FBI agents enter the court's offices Friday, May 04, 2018, at the Hidalgo County Courthouse in Edinburg. 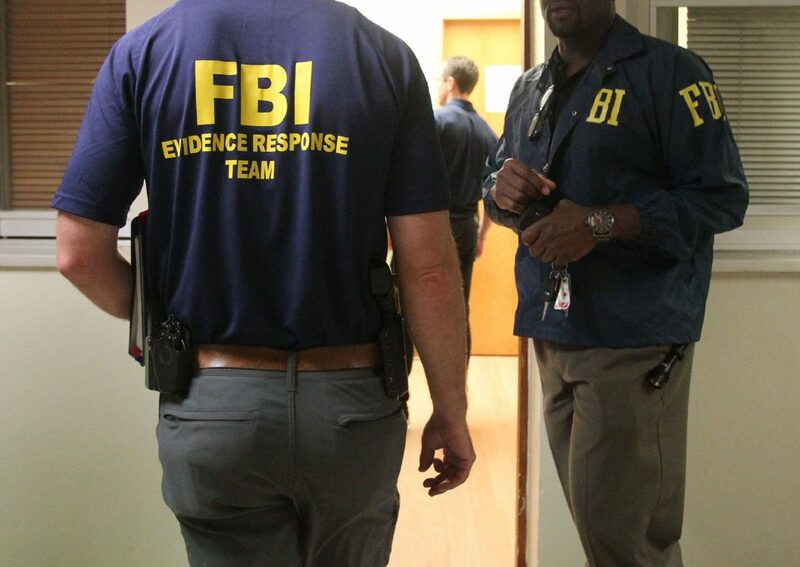 Agents recovered evidence from the court bailiff's office after he was arrested Friday afternoon in connection with a federal investigation. De La Cruz has worked for County Court-at-Law Judge Albert Garcia for about two years, the judge said Friday when contacted by The Monitor. Garcia, who described his bailiff as a “straight arrow” and “very righteous,” said when contacted at about 2:30 p.m. that he had no knowledge of De la Cruz being in custody. Three hours later, when he learned his bailiff was in custody, the judge’s demeanor changed. He appeared at a loss for words and said he was concerned about the shadow the incident would cast on his courtroom. 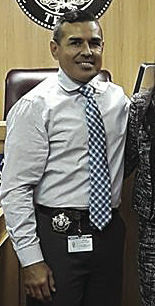 De La Cruz was not at work Friday, and Garcia said his bailiff had taken time off to take care of some property matters. Friday marked the second FBI visit to the courthouse in the last few months. In early February, the agency raided the offices of then-District Judge Rodolfo “Rudy” Delgado, who was arrested the same day on federal bribery charges. Delgado was indicted on those charges in March and subsequently resigned from the bench Monday, saying he needed to “devote (his) time and energy to assist (his) defense team” as they prepare for his September trial. Hidalgo County District Attorney Ricardo Rodriguez said he received a call from federal officials advising him they would be executing a search warrant Friday at County Court-at-Law 6. “At this point, we are in full cooperation and here to assist not only the FBI, but any agency,” Rodriguez said. Staff writer Lorenzo Zazueta-Castro contributed to this report.